Da Brat Tells Bow Wow What We've All Been Saying - HE'S The Brat & That Kyiomi Relationship Is A No-Go! 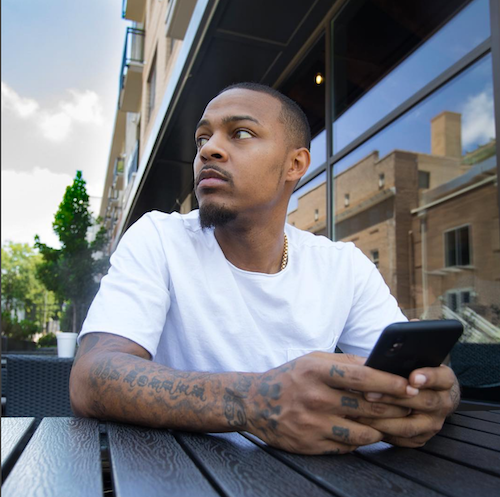 Bow Wow's been doing the most during this on-again, off-again relationship with Kiyomi. He was doing the most before that too. Now, Da Brat is reading him for filth like we've all been wanting to. In an exclusive sneak peek for tonight's "Growing Up Hip Hop: Atlanta", ow Wow finally gets told about himself. He's been throwing thirst tantrums on Instagram about folks not putting respect on his name, been flaunting how much clout and wealth he has to prove some type of point, and been fighting and ish at the club because he's all the way in his feelings since his tumultuous relationship with "Wild N Out" girl Kiyomi. Even his mama, Teresa tells Kiyomi to stay away from Bow. Sheesh. So when Bow's long time So So Def homie Da Brat told him to get his ish together, and couples' therapy aint gonna save them, we damn threw holy water at both of them for this convo finally happening. Maybe his annoying AF IG posts will calm down a bit. We're sure he means well. "GUHH: ATL" airs Thursdays on WEtv. PREVIOUS: Meghan Markle, Prince Harry & Royal Baby Bump Attend Christmas Carol Service Together Amid Royal Family Drama! NEXT: Cardi B. Just Released First Pic Of Baby Kulture, And She's A Doll!